Where should you buy your carpet from? Home / Carpet Supplier / Where should you buy your carpet from? As it comes to buying carpets for your home, one of the key phases is to where you should buy your carpet from. Let’s discuss different types of carpet stores. Have a look at them and make your decision regarding carpet suppliers in accordingly. National chains or Big Box retailers – These types of companies have huge marketing budget. They keep putting their name and sales pitch continuously before you. Some of such retailers concentrate on selling carpets only while this is just a sector of their business for others. The biggest advantage of buying from such companies is that they are renowned, reputed and consistent. They will be there for years to come. Even if the store that you buy your carpet from closes, they will have other counters a few miles away. Though normally it doesn’t matter, it comes handy when there is any defect with the carpet and you require someone to complain to. Also, they usually have a huge volume of stocks to let you choose from them. You don’t need to worry about their reputation as well. Local carpet retail stores – Such businesses usually have less than 10 stores, often 1 to 3 stores. Most of these stores are family owned. But such stores have knowledgeable staffs willing to help you find the right carpets for your need and budget. They are likely to provide you with great customer service. Their pricing is straightforward and less likely to make you surprised. 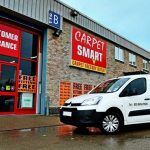 But before you opt for any of these carpets suppliers in Bromley, ensure that the store is established in your niche community and doing financially fine. Online carpet retailers – These types of retailers can be defined both as reward and risk. They usually send their samples to the prospects to help them choose exactly what they are looking for. Once the piece is chosen, they send an affiliated installer to visit the prospect’s home, measure and install the carpet. They are okay until you know your requirement properly and aware of common scams. Research the retailer to check whether or not they are reputed. Carpet installers – They are ideal if you are in need of small carpet to cover a small space. Big stores often over measure the homes for carpet and as a result, the extra carpet ends up with the installer. They use such pieces to patch damaged carpet. They sometimes have enough to sell to carpet a room. Since they don’t usually have a big storage space, they tend to sell the products and thus you can get the carpet for cheap. However, you can hardly expect warranties with such carpets. Shop-at-home retailers – Some retailers come to your home and bring shopping to you. They are likely to visit your home with catalogues and samples so you can choose one from. They set up for the home to be measured and the carpet installed accordingly. This is undoubtedly convenient. At the same time, they can be a bit expensive as well. Also, they can be in a good position to sell you a poor quality product and be nowhere to be found by the time you understood that you have been ripped off. As long as you have a good idea of what you are buying and know the company or the person selling carpet to you, you can go for these retailers.